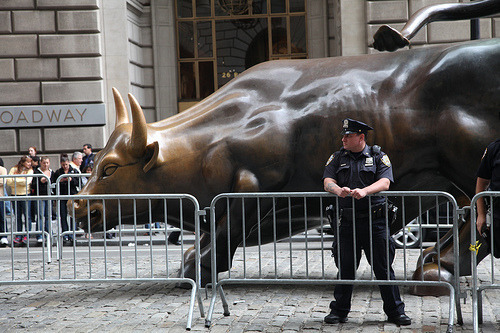 HERE’S TO the Occupy Wall Street folks. Interested to see what comes out of all of this. Interested to see how real powers deal with the movement. Will they strike a deal, or deal a strike? As a gesture toward solidarity, I’ll refrain from posting my inane philosophical musings, which seem kinda out of place against the background of OWS. Instead, I reckon what what Crispy has to say is worth considering. And anyone interested can read about my own economic disestablishmentarianism right here.